Stacking up some Aspen logs for future bowls. Just getting the first coat of finish on a 30"x84" dining table with bread board ends. I'm working on a pair of benches to go with a dining table. Tees parts are fresh out of the gluing jig. They are bent laminations ( many layers of wood glued around a form). Once the glue dries the shape is held. Not long ago I bought this 1930's vintage Cresent bandsaw. With a little fixing up and some help from some friends it's running really well. I used it right away to make the "Roman Arch" for Robert Morris. Using 12x12 Oak blocks, to form a free standing arch 12' in diameter. Each block weighs about 90# . 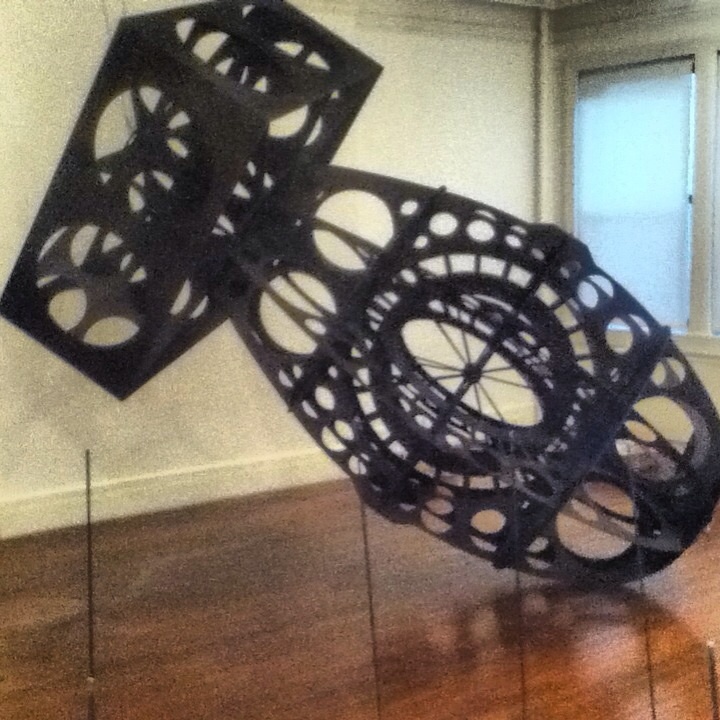 This along with 11 other pieces are being shown at Sonnabend gallery in NYC through mid March 2014. 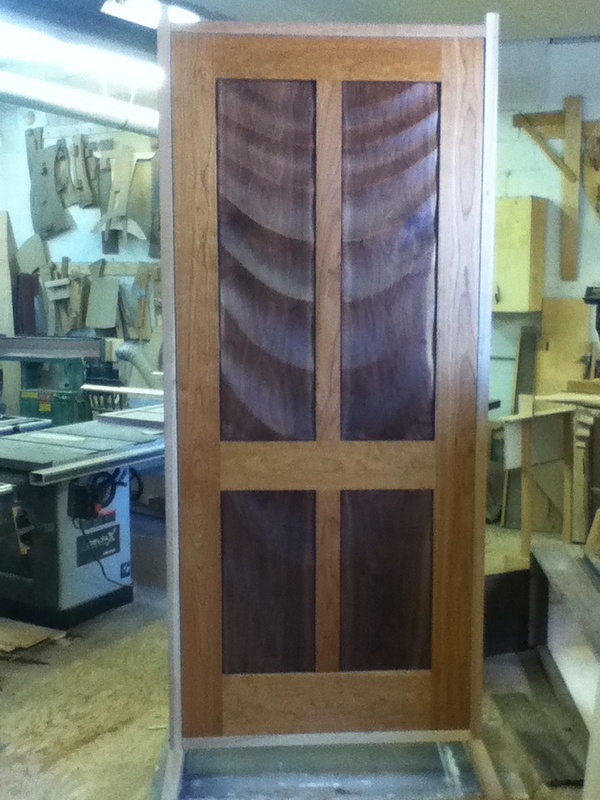 Here are a couple of pictures of a door I made, using Cherry for the frame and local Black Walnut for the carved panels. The size of the door is 3'x7', I can make any size for either new construction or replacing an existing one. These are my kitchen cabinets. They are made of Red Alder. Carved of a single slab then cut to drawer fronts. I was thinking of a shore where the waves and rock and sand meet.